Some time ago I wrote about an unusual discovery on an isolated island in Indonsia of nine skulls and skeletons of a very short yet very human-like creature. Officially called Homo floresiensis, but nicknamed “The Hobbit” (also called “Flores Man”), there has been a running dispute on whether this creature, discovered on Flores Island, was a deformed or dwarfed version of homo sapiens (i.e. modern man), or an actual new and previously unknown species. Since the discovery of this creature in 2003, this debate has been raging on for 13 years. The debate may soon be coming to an end as scientists and anthropologists have been closely and independently examining the remains that have been found. 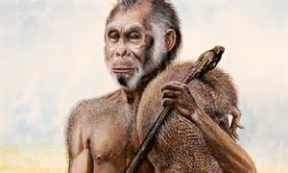 In the publication Journal of Human Evolution, the overall consensus by most of the researchers on the remains is that this is a new and previously unknown species of ancient humans. The researchers looked carefully at the remains, and made three important conclusions; 1). there seem to be no evidence, no DNA samples that suggest any disease that influenced the physical development of the creatures’ remains found. 2). although the creatures’ remains look surprising humanoid, they apparently did not share for the most part any of the DNA found in modern humans today. And 3). the fact that some of the remains of the different individuals found on the island go back as much as one million years shows that they could not have been an off-shoot of modern man. So the conclusions of most of the researchers on this is that the Hobbit was indeed a different and completely separate species that had not been known before. But now it begs for a whole list of new questions. First, why have no traces been found of this species before? Did the Hobbit live in other lands and become extinct? Or did it just come into being only in a particular region? How long did they continue to exist, and did they live alongside homo sapiens when they came to Flores Island? Why did they suddenly disappear? Of course, I am going on the premise that they no longer exist. But………………what if somehow, some way they still exist? What if they are hiding and may still be living somewhere out of sight currently? We have found species of animals that we either thought had become extinct or we never knew about at all. In this world of possibilities, we MIGHT be in for a few more surprises.